If you take a glance at the extensive legacy of black American history, the intersections with conservation are undeniable. From urban and rural agriculturalists, environmental scientists, planetwalkers, and environmental justice activists, the legacy of black Environmentalists exists in our natural places, National Parks, and enacted policy. In celebration of Black History Month, and the often untold contributions made by black environmentalists, we will be highlighting four black Americans who have advanced and innovated the fields of conservation, environmentalism, and activism: Dr. John Francis, Majora Carter, Charles Young, and Margie Richard. Young’s journey towards this position was a difficult one, as he was born into slavery in Kentucky on March 12, 1864. It was through the legacy of his father, who had escaped slavery to join the Union Army during the Civil War, that Young attended West Point Military Academy. 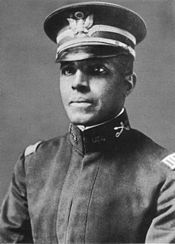 Not only was Young the third black American to graduate from West Point, but he was the first black National Parks Superintendent, where environmental preservation was at the forefront of his life’s work. In this position, Young ensured the preservation of the great wilderness, and commanded a group of park rangers that became known as the “Buffalo Soldiers.” They kept the park free from poachers and ranchers whose grazing sheep destroyed the parks’ natural habitats. In 2013, Young was recognized as a true American hero, when President Barack Obama used the Antiquities Act to designate Young’s house as the 401st unit of the National Park System, the Charles Young Buffalo Soldiers National Monument. The modern day interpretation of an activist goes something like this: a young, jarring individual with an unapologetically loud voice, raised fist, and picket sign. And while this image was birthed from the largest and most successful social movements of the past century, an alternative form of activism has also emerged, in which silence can become the loudest and most compelling voice in the room. 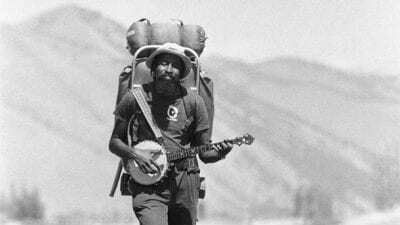 A conservationist, educator, and best-selling author, Dr. John Francis, also known as the ‘Planetwalker’ is best known for his impressive 22-year motorized transportation boycott, and his 17-year vow of silence. Inspired by the horrific 1971 San Francisco Bay oil spill, Dr. Francis’s legacy led to years on foot, during which he traveled across the United States and Latin America, receiving a Ph.D. in Land Management from the University of Wisconsin-Madison along the way. In his decades-long journey, Dr. Francis observed the mutual disconnect between people and the environment, and urged people to reposition themselves as intricate pieces in the overall concept of the environment. After breaking his silence during the first Earth Day in 1990, Dr. Francis has gone on to an extensive career in conservation, as both an educator and environmental policy maker. To date, he has garnered dozens of environmental accolades: being named the National Geographic Society’s first Education Fellow in 2010, an ambassador to the United Nations Environment Program’s Goodwill Ambassador to the World’s Grassroots Communities, and an acclaimed bestselling author. 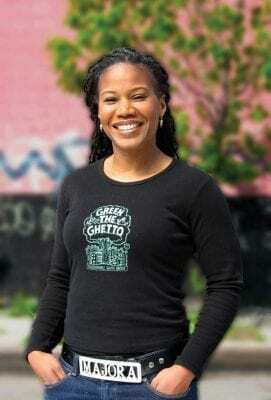 If you’ve ever watched an online TED talk, there is a high probability that you have come across Majora Carter’s inspiring lecture entitled ‘Greening the Ghetto.’ With several million views and counting, Carter’s compelling TED talk outlines her journey fighting for environmental justice in the South Bronx, in which she draws key connections between economic, ecological, and social degradation. As an activist in the 1990s, Carter brought the South Bronx its first open-waterfront park in 60 years, and founded ‘Sustainable South Bronx,’ an organization to mobilize grassroots environmental activism among New York City’s poorest and most environmentally oppressed citizens. In the present day, Carter works to help people in low-income communities realize that they don’t have to move out of their neighborhoods in order to live in a healthier environment. While most acclaimed as an urban revitalization strategy consultant, Carter is also a real estate developer and a Peabody Award-winning broadcaster, whose innovative views on urban renewal have altered the understanding of comprehensive urban policy to include goals for environmental protection and restoration. Carter was also awarded a “Genius Grant” by the John D. and Katherine T. McArthur Foundation. Her company, the Majora Carter Group, is putting green economic tools to use, unlocking the potential of every place, from inner cities to rural communities, university campuses, government projects and industrial parks. Margie Eugene-Richard, 2004 Goldman Environmental Prize Winner, North America (United States), holding Ouroboros statuette. In Southern Louisiana sits an area known as Old Diamond, a small neighborhood in Norco where residents are sandwiched between a Shell Chemical plant and an oil refinery owned by a Shell joint venture. For decades, the residents of this predominantly black neighborhood suffered under the constant fear of an industrial accident, and faced unusually high rates of cancer, birth defects, and respiratory diseases. These environmental threats were a result of decades-long and, in some cases, ongoing environmental contamination stemming from the industrial operations that surrounded the residential neighborhood. After years of being subjected to these environmental risks, and following the death of her sister from a rare bacterial infection, in the early-1990s, resident Margie Richard founded the Concerned Citizens of Norco, an environmental justice citizens’ group that fought for fair resettlement of Old Diamond residents in order to escape the daily threat of health and environmental hazards. After an intense community-based air quality research study, and 13 years of Ms. Richard’s tireless leadership, the CCN finally reached an agreement with Shell that paid for the relocation of Old Diamond residents to new homes, in neighborhoods with clean air, water and soil. 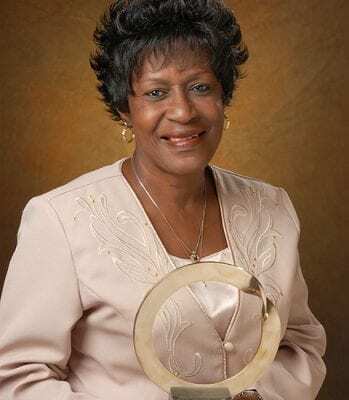 Margie Richards is a true pioneer of the environmental justice movement. Her work led her to become the first black American to win the Goldman Environmental Award in 2004. This entry was posted in conservation, inspirational, social responsibility, sustainability, Uncategorized.